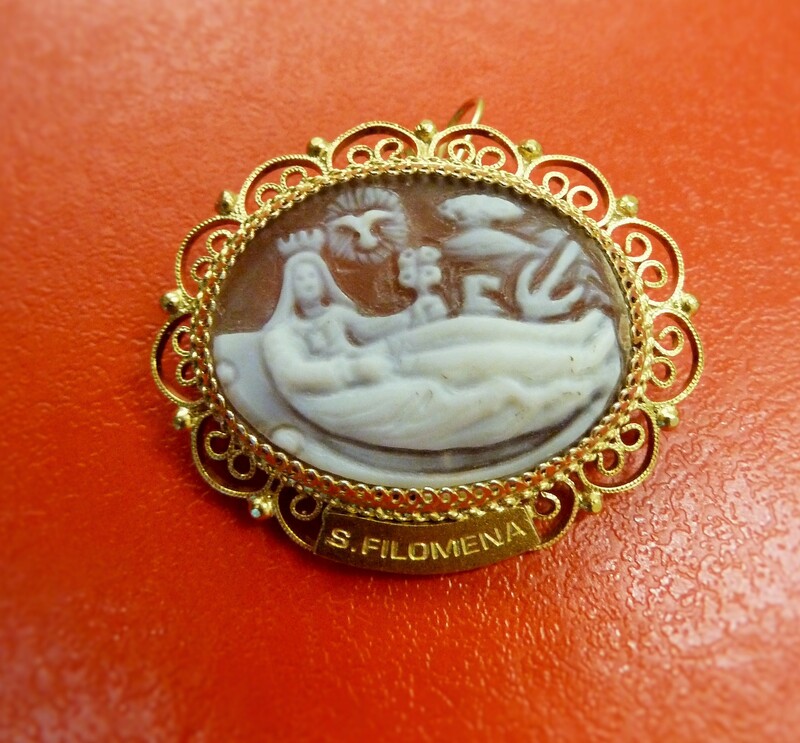 This beautiful cameo depicting St. Philomena is made in Italy in the centuries-old Italian art of murrine which is essentially carving in glass. The cameo is then mounted in 18k gold-plated silver. Our specially made murrine may be worn as a pendant or a brooch. You may purchase this significant piece for yourself or as a very special gift for a St. Philomena devotee.